Building two distinct, city-sized operations may have advantages, management experts say, but the division will be a challenge for a company fed on CEO Jeff Bezos’ “two-pizza team” philosophy. Amazon.com is about to test whether expertise delivering packages across a continent translates to skill in getting executives in far-flung cities to play nice together. The online retailer surprised the business world, and its Seattle hometown, on Thursday with the announcement that it would set up a second home base somewhere in North America, and staff the new campus with up to 50,000 employees. 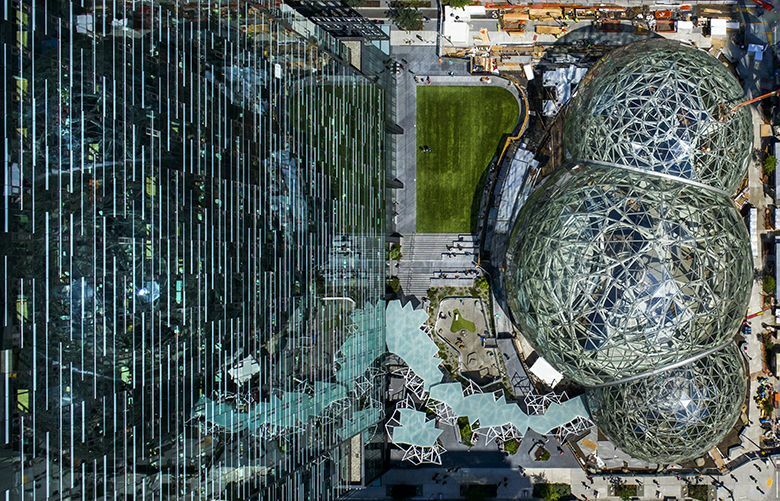 The new home, Amazon said, will be “a full equal” to Seattle, a second headquarters. Executives will have the choice of placing their groups in either city, or both. There’s little precedent for a company building two distinct, city-sized operations from the ground up and splitting the corporate brain trust between them. Dividing teams, management experts say, can lead to costly duplication of efforts, create rival power centers and add layers of bureaucracy that slow down decision making. Amazon has largely avoided the kind of lethargy that can follow success and rapid growth. For an organization with more than 450,000 employees, the company retains a remarkable reputation for speed and aggression. But replicating that culture and those habits at HQ2, as Amazon is calling its second headquarters, presents a test of the company’s formula. Amazon has made a concerted effort to avoid management pitfalls, developing an institutional obsession with the factors that make businesses succeed or fail. It comes from the top. CEO Jeff Bezos codified some of this thinking 15 years ago with an edict that has become equal parts corporate lore and business-school cliché: Teams should be broken up into self-directed units, clusters small enough that they could be fed with two pizzas. The two-pizza team idea, though never fully implemented across the company, was ingrained into its thinking, a standing order to remain nimble. The question Amazon will face in its new operations is whether two-pizza teams work well if one pie is in Seattle and the other is in, say, Denver, or Dallas or Detroit. Nadia Shouraboura, a former Amazon vice president, expects the company’s data-driven preference for decentralized action to survive even as its concentration in Seattle diminishes. The company contends it already does a pretty good job of managing an extended workforce. Amazon has been hiring product teams outside the U.S. since the late 1990s, and around the U.S. outside of Seattle since opening a California office in 2003. Today, much of the team behind the Alexa digital assistant is in Boston, for example. Amazon’s bulk business-sales program is jointly developed by people working in Seattle, Madrid and Austin, Texas. Amazon says that more than 25 percent of its corporate staff in the U.S. — a group that excludes warehouse workers and other staff in Amazon’s distribution network — is based outside of Seattle today. A separate headquarters, though, is something different. Distinct manufacturing and research and development outposts are common for large global businesses, but corporations tend to prioritize having command and control centralized in a single location. Smartphones and ubiquitous videoconferencing reduce the friction inherent in coordinating remote offices, but don’t eliminate it entirely. Tom Murphy, who advises retailers on corporate strategy at North Highland, a consulting firm, said that given Amazon’s projections for its own growth, the company has no choice but to grow in multiple cities. There are some advantages to decreasing the company’s concentration in Seattle. Management experts say another center of power can help avoid the kind of groupthink that grows in a single location overseen day-to-day by the boss. Microsoft, a company whose rise and stagnation serve as both a model and cautionary tale for Amazon, stumbled in the 2000s amid what critics say was an echo chamber at its Redmond headquarters. Amazon’s new footprint could yield benefits in hiring, too. 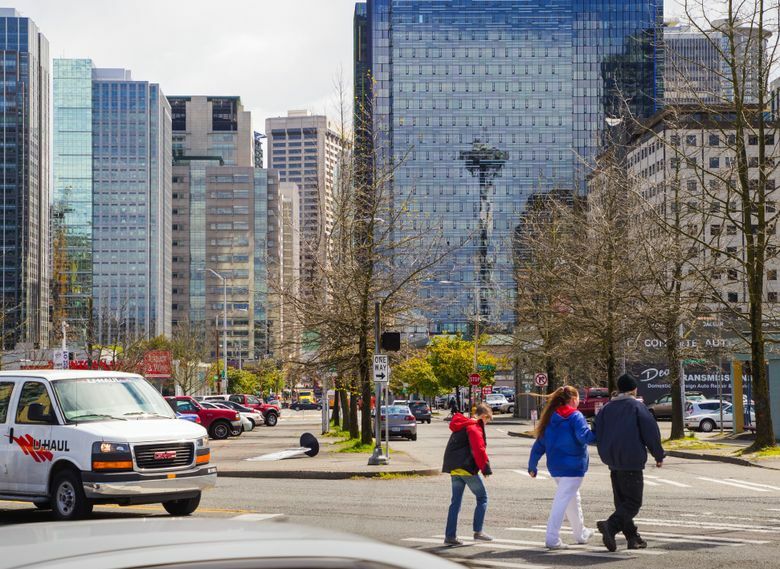 In Seattle, Amazon’s pool of employees is limited to those who live or would relocate there. Cusumano, of MIT, is skeptical that Amazon will end up chopping up individual teams among the two headquarters based on executives’ preferences. He expects the company to place distinct units in one city or the other. Say, a cloud-computing and software-development hub in Seattle and a logistics and transportation group elsewhere.